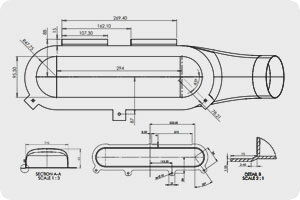 Explore our technical section which contains useful information on our products from fitting guides to aerodynamic wing data to air box selection guides and wind tunnel testing videos. All our data sheets are in PDF format and can be downloaded for offline viewing. 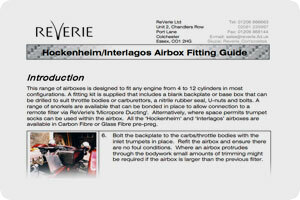 Instructions on how to fit Reverie products including seats, universal air boxes & induction kits and rear diffusers. 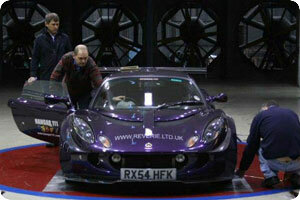 Fitting guides for our range of Lotus products also available here. All guides are PDF format for easy reading and download for offline viewing..
Data sheets for Wiggins connectors can also be found here. 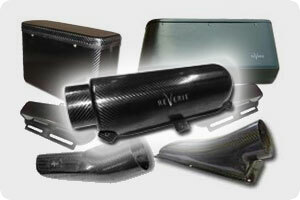 A size guide for all Reverie air boxes including Hockenheim, Zolder, Silverstone, Sebring and Interlagos models. All dimensions are in mm and also contains information on volume (litres), fuel spacer dimensions, filter compatibility and inlet type/ size. The guide is in PDF format. 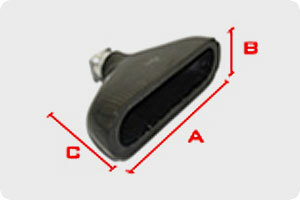 Unsure what air box to purchase for your vehicle? Unsure what appropriate filter to use or inlet duct? Our selection guide provides information and guidance about the most suitable air box for your application including formulas on how to calculate required air flow, technical data sheets and much more. 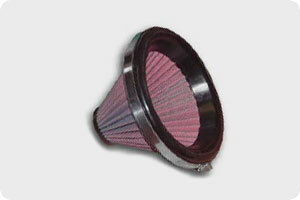 We supply high performance air filters for all our air boxes, on this page you will find information and data on our air filters including filters for our range of induction kits and ITG air filters. A size guide for all Reverie Fontana plenums, both 4 cyl and 6 cyl versions. All dimensions are in millimetres and also contains information on volume (litres) and back plate options (both Carbon Fibre and 4mm Alloy). 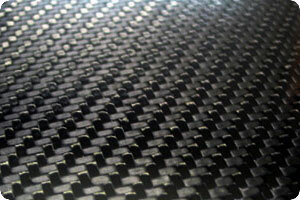 Our diffuser size guide contains dimensions of all our rear Carbon Fibre diffusers. Not just overall measurements but measurements of fixing tabs, front and rea width, vane depth, cut-away radius and more. The guide in in PDF format. Our steering wheel dimension data sheet provides dimensions on wheel diameter, set back, wheel offset mounting (if applicable) and mass in grams. 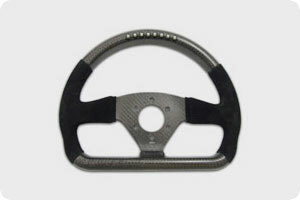 All Reverie steering wheels are included, and the document is available to download in PDF format. 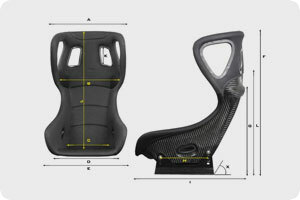 Our seat guide gives dimensions on all our range of Carbon Fibre bucket seats including overall height, width and depth, shoulder measurements, weight (KG) and whether FIA approved. 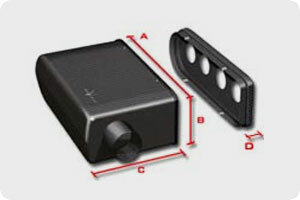 Also included are sub frame dimensions. and dimensions for our seat cushion kits (wide & narrow). 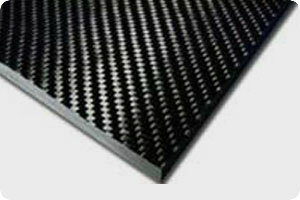 Our Carbon Fibre data sheet contains information on all our Carbon Fibre rigid sheets and sandwich panels (Nomex core, Aluminium core and Airex core). You can also download our Deflection Calculator (MS Excel req.) for obtaining deflection data. We answer some of the most frequently asked questions about our Carbon Fibre rear wing in our wing FAQ section including how wide wings should be, Gurney flaps and more. 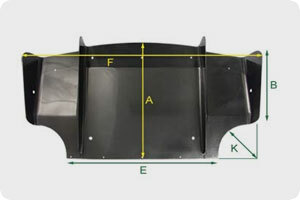 Are you unsure what wing would be suitable for your application? 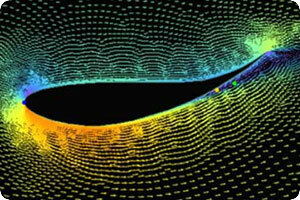 Take a look at our wing selection page for guidance on choosing a suitable wing. Our technical data page contains data sheets on rear wings, calculation guides and further reading. Links to books on aerodynamics are useful for further information including wind tunnel session data and aero press release articles. Our products data page contains data sheets on the Adhesives we supply and air box NACA ducts and Alloy bell-mouth intake.